The University of Tennessee Pathology Residency Program participates in the NRMP match and accepts applications only submitted through ERAS© will be considered. 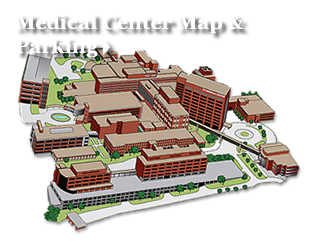 Our residency program is listed as "University of Tennessee Medical Center at Knoxville Program" under Anatomical and Clinical Pathology. Our program ID is: 3004711335. The deadline for applications is December 1 for appointments beginning in July. The Electronic Residency Application Service (ERAS©) is the AAMC's residency application service that transmits residency applications to potential residency programs. ERAS Post Office opens September 15 to all ACGME accredited residency programs. This is the date that applications begin to be downloaded. Applicants selected to interview will be emailed information about how to schedule an interview day. Interviews are typically scheduled beginning the middle of October and completed by the middle of December. Our program participates annually in the National Residency Matching Program (The MATCH). Applicants are “matched” to a program using the certified rank order lists (ROL) from the applicants and program directors. However, if an applicant remains “unmatched” they may obtain a possible available position through the Match Week Supplemental Offer and Acceptance Program (SOAP). Note: Registration with ERAS does not register the applicant for any established Match. ERAS is a separate entity and does not provide matching services. Residency applicants must also register with the National Residency Matching Program (The MATCH). Interviews are an essential part of our resident selection process. Upon completion of the ERAS application, all materials are reviewed carefully by the review committee and invitations to interview are extended to selected candidates. Interviews are conducted during October, November and December each year. Scheduled applicants are provided one night's lodging at a nearby hotel, dinner the evening prior to the interview, and breakfast/lunch on the interview day. The interview day begins with breakfast with the residents followed by several scheduled interviews with the pathology faculty. After lunch with the residents, the applicant is given a tour of the facility and can expect to complete the interview day by 2:30 or 3:00 p.m.
Our residency program is open to international medical graduates. In order to be competitive, an applicant should have scores of at least 82 on both steps I and II CK of the USMLE on the first attempt and a passing score on Step 2 CS on the first attempt. Step 3 is not required, but applicants who have already passed may be given preference. Fluent conversational and written English is required. While prior US experience, including clinical training or an advanced degree, from a US institution is not required, it is desirable. The University of Tennessee Graduate School of Medicine sponsors only J1 visas for residents. (Limited to Residency Program Activities). The Department of Pathology supports one national conference or board review course during the four year residency program, up to $2,000. The Department of Pathology provides each resident educational textbooks specific to their year of training to enhance their educational experience as a resident in Pathology. Fleece Jackets Monogrammed fleece jackets provided.